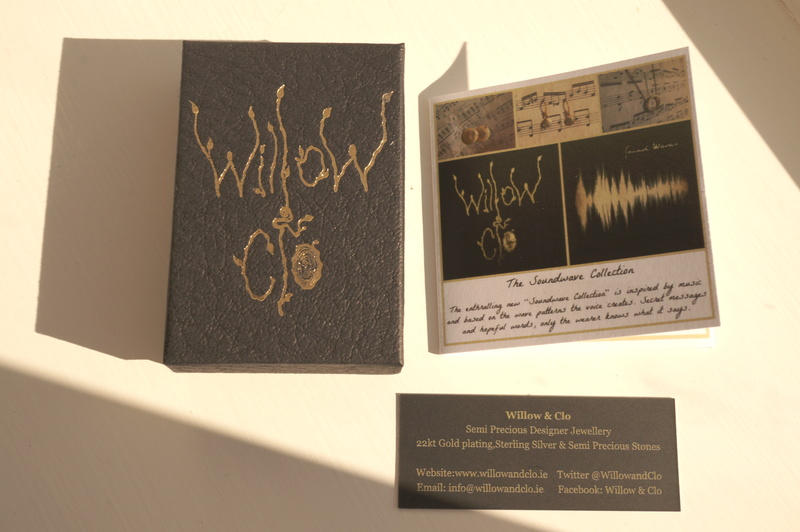 Last week I found out I’d won first prize in the Willow & Clo blogger competition! YAY! Willow & Clo asked bloggers to create a mood board featuring items from their Soundwaves collection and also include your favourite quote, you can see my entry post and read more about the collection here. So here is what I won! 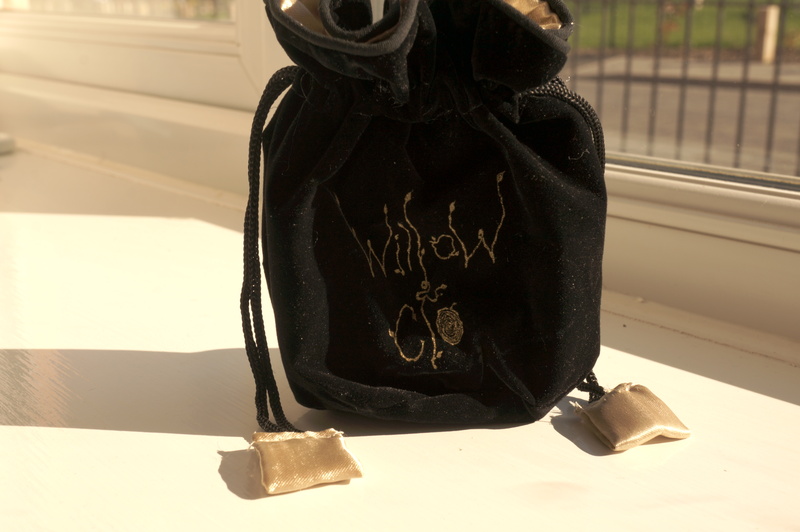 – My prize arrived in this lovely velvet pouch. 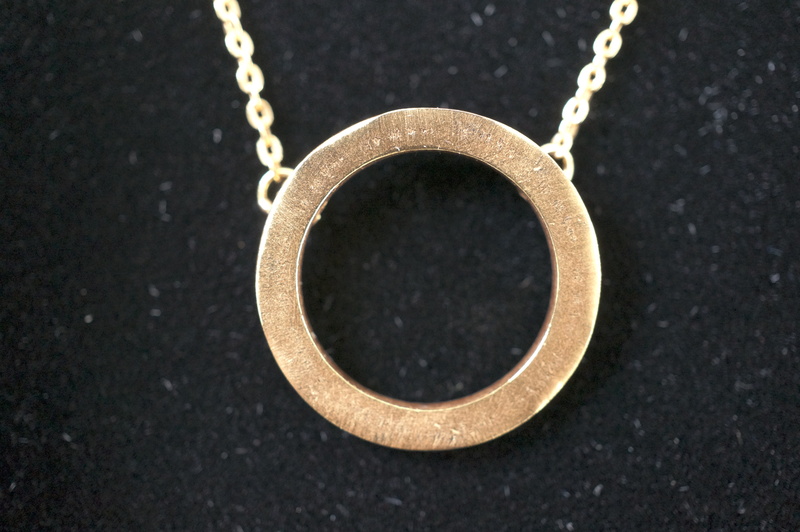 I chose the ‘Shoot for the Moon’ necklace, which is engraved with the sound wave of ‘Shoot for the moon, even if you miss you will land amongst the stars’. The engraving is very fine, I couldn’t capture it very well! 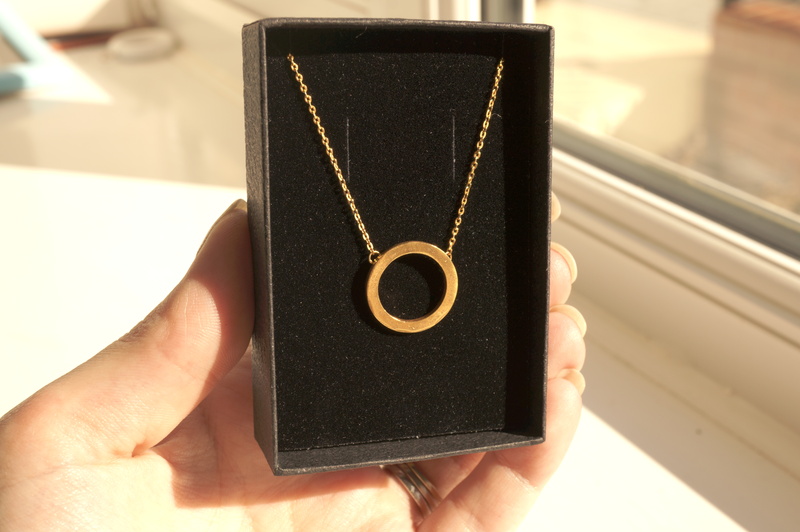 It’s such a lovely idea though, and a pretty necklace, I’m proper chuffed!! I’d love to hear if you’ve won any competitions lately? Previous Post Mint Aztec Dress OOTD! Next Post Date Night Outfit Wishlist! well done!! i love it its SO pretty! Congrats. What a lovely piece!